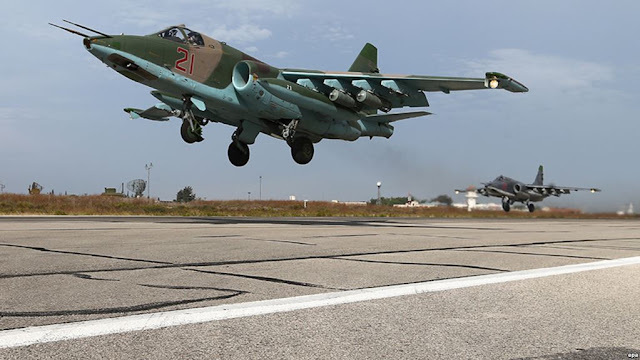 February 11, 2018 (Tony Cartalucci - NEO) - A Russian ground-attack aircraft - a Sukhoi-25 - was shot down using an anti-aircraft missile over the northern Syrian province of Idlib by Al Qaeda affiliates. The pilot was reportedly killed by militants according to the Russian Ministry of Defense. Hayat Tahrir al-Sham - formerly linked to al-Qaeda - said it had shot down the plane. The BBC and other Western media organizations have worked ceaselessly to aid groups like "Hayat Tahrir al-Sham" in their efforts to re-brand themselves and obfuscate public awareness over their status as terrorist organizations, thus making it easier for either the US and its European allies to aid and arm such groups, or for Western allies in the Middle East to aid and arm them. That "Tahrir al-Sham" possesses anti-aircraft missiles indicates they are the recipients of state-sponsored arms deliveries. The fact that they murdered the downed pilot - a war crime - reaffirms their status as a terrorist organization. 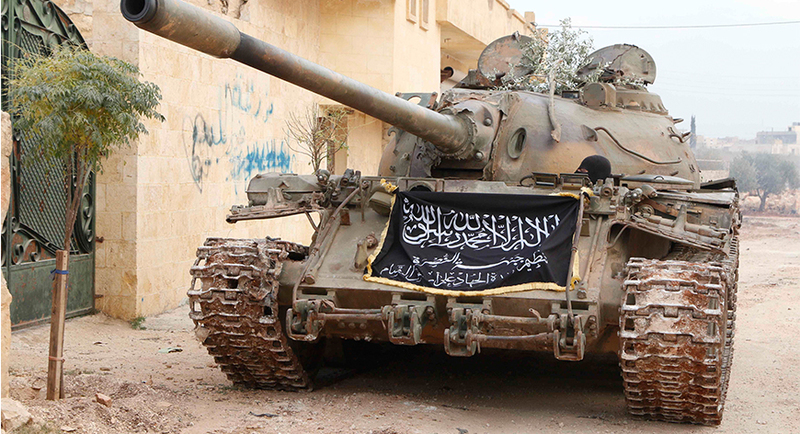 Al Qaeda affiliates possessing anti-aircraft weapon systems should come as no surprise. The US had literally handed hundreds of anti-aircraft missiles to militants in Afghanistan during the 1980's which included Arab volunteers assisted by Al Qaeda. With these missiles, militants likewise downed Russia warplanes and helicopters. Arming Al Qaeda in Syria was 'Plan A' Before the Arab Spring "Sprung"
Yet an examination of the Syrian conflict's true inception reveals just how dubious this denial by the US State Department really is. The Syrian conflict was conceived years before the first protesters took to the streets during the 2011 so-called "Arab Spring." 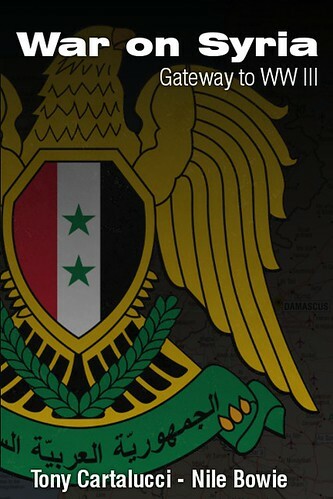 US policymakers had been preparing since as early as 2007 to wage proxy war on Syria and Iran. To do so they built upon a history of collaboration with Saudi Arabia and other notorious state-sponsors of terrorism - which includes the joint US-Saudi-Pakistani support provided to militants including Al Qaeda in the mountains of Afghanistan during the 1980s to expel Soviet forces. This support included shoulder-fired anti-aircraft missiles. 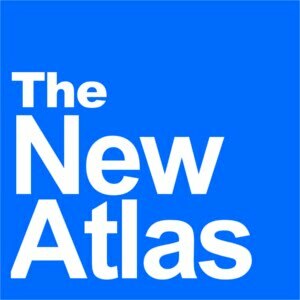 In addition to the US State Department organizing political agitators that would flood the streets of nations like Tunisia, Libya, Syria, Egypt, and Yemen at the onset of the "Arab Spring," the US government and its regional allies began staging weapons and training and mobilizing militants, aimed at preparing armed groups to quickly leverage street mobs to expand and exploit the engineered conflicts. While the NYT and other Western media organizations attempted to claim US involvement in the weapon deliveries sought to prevent Arab donors from sending weapons like anti-aircraft missiles - the US used the CIA to covertly facilitate the weapon deliveries precisely because Washington's Arab allies could send weapons the US openly could not, to groups the US could not afford to be seen directly supporting. And while the US attempts to revise recent history, claiming that Al Qaeda and its affiliates have only just now come to prominence after "moderate rebels" were eliminated from the battlefield over the course of the now seven year conflict, in 2012 Western media already admitted the prominent role Al Qaeda's "Al Nusra Front" played in leading the opposition. Those "like-minded donors abroad" include the very Arab allies the CIA aided in delivering weapons to militants in Syria - namely Al Qaeda and its affiliates. It is neither without precedent nor plausibility then that the US is the prime suspect in arming - either directly or indirectly - the terrorists who recently downed a Russian warplane admittedly operating in and attacking territory held by Al Qaeda in Syria. 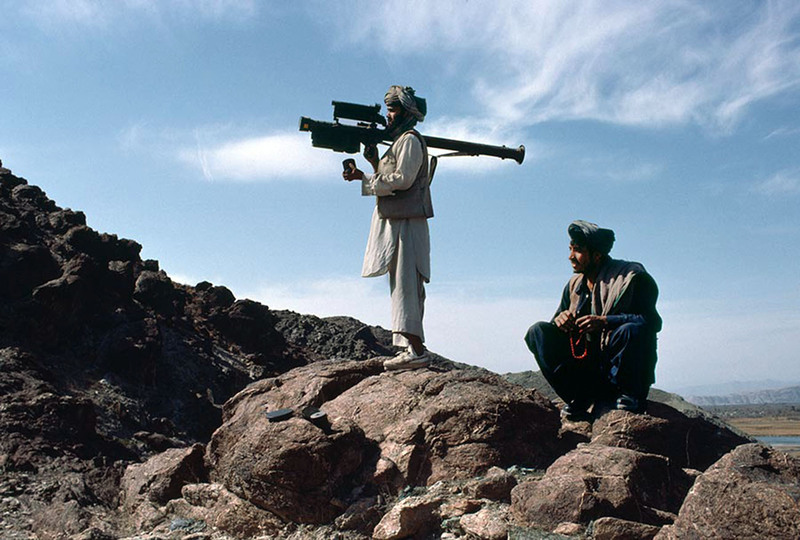 The US has already in recent history admittedly armed militants with anti-aircraft missiles to down Russia aircraft in Afghanistan in the 1980s. It was a point of US policy since 2007 to not only aid and arm Al Qaeda and its affiliates in Washington's proxy war with Iran and its Syrian allies, but to do so through intermediaries like Saudi Arabia, Qatar, the United Arab Emirates, Turkey, Jordan, and Israel - as revealed by Hersh in his 2007 New Yorker article. And it is demonstrated daily on the battlefields of Syria, despite claims that the billions the US has invested in "moderate rebels," no such "moderates" exist. Claims that they were "displaced" by Al Qaeda begs the question - if the US invested billions in "moderate rebels," who invested billions more in Al Qaeda giving them the operational edge to displace the "moderate rebels" from the battlefield? The answer is simple - there were never any "moderate rebels." The US - as it did in Afghanistan - simply armed whatever militants were willing to fight - including, and now especially Al Qaeda and its affiliates. Al Qaeda's possession of anti-tank and anti-aircraft missiles, as well as armored vehicles and even tanks illustrates how the US in its supposed "War on Terror" managed to transform a decentralized terrorist organization into a standing army now possessing entire cities and even provinces only Damascus and its Russian and Iranian allies appear interested in fighting and eliminating. US-backed terrorism has recently claimed a Russian pilot, amid a war that has cost tens of thousands their lives over the course of several years and threatened the stability of an entire region. But long after the war ends, whenever it ends, this threat as a result of America's state-sponsorship of terrorism will endure for many more years to come, manifesting itself not only on battlefields but also in cities and towns, targeting soldiers and civilians alike - not just in Syria but around the planet.